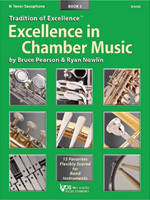 Pearson, Bruce & Ryan Nowlin NEW ITEM! 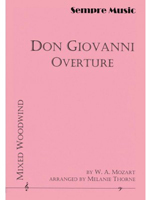 Excellence in Chamber Music, Books 1, 2, and 3 are collections of Grades 1 - 2 � arrangements of favorite melodies and classic literature, flexibly-scored for use with ensembles of any size or composition. Perfect for festivals, concerts, summer camps, or ensemble practice! 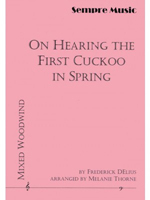 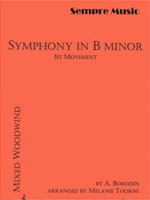 For large woodwind ensemble (2+1,2,3+2,2+1,AATBB or piccolo, 2 flutes, 2 oboes, 3 clarinets, bass clarinet, contrabass clarinet, 2 bassoons, contrabassoon, 2 alto saxes, tenor sax, 2 bari saxes.